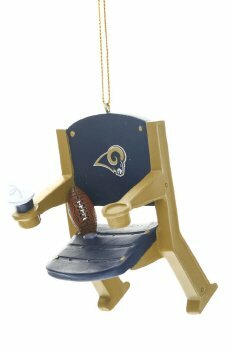 Los Angeles Rams Christmas Tree Ornaments are a little bit hard to come by this year. 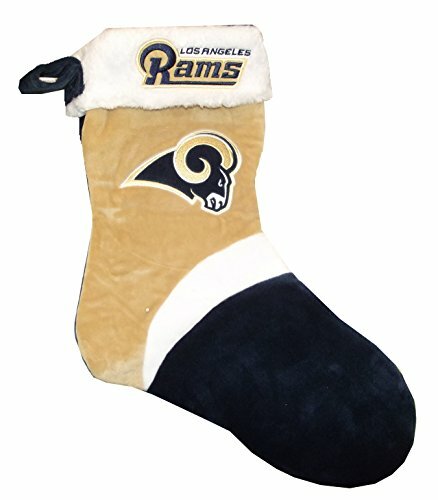 The team has just recently moved back to Los Angeles and the merchandise availability hasn’t caught up yet. 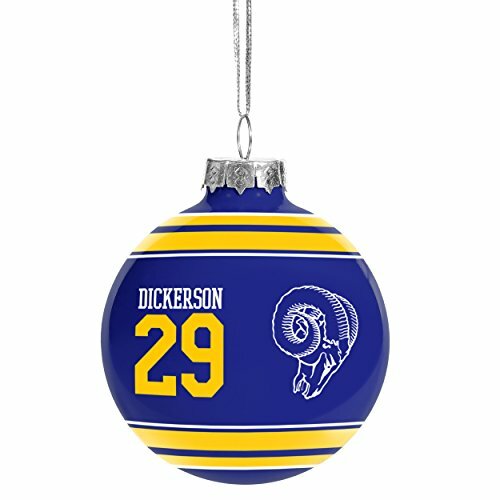 Even so, we do have a few nice ornaments to offer you. Check out the Santa hats and stockings which could also be used on the tree. 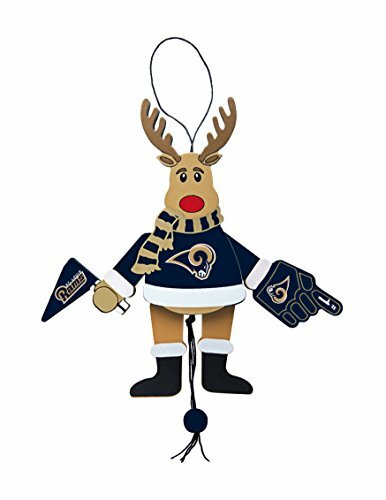 Your tree will sparkle with the brand new Rams ornaments that reflect their move to Los Angeles. 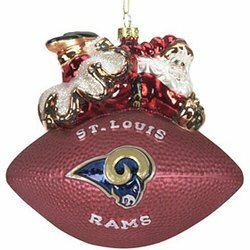 Hang on to any ornaments you have from St. Louis or Cleveland as those will probably be collectors items. 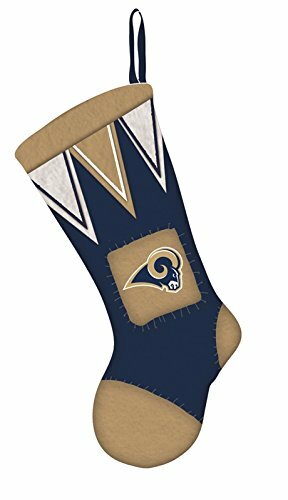 Do you have Los Angeles Rams fans to buy for? 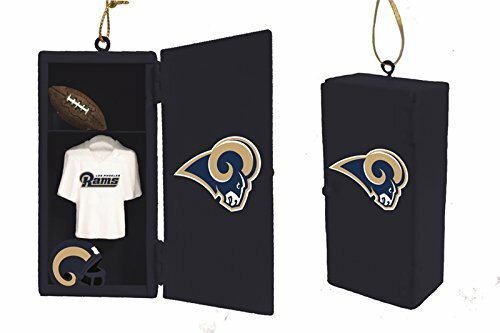 Include a Rams ornament with the gift and they will love it! Here’s a nice assortment of stars, gingerbread men, a cute penguin with a candy cane, and a tinsel ball done in Rams colors. The tinsel ball is a glass globe filled with mylar ribbons of navy blue and gold. 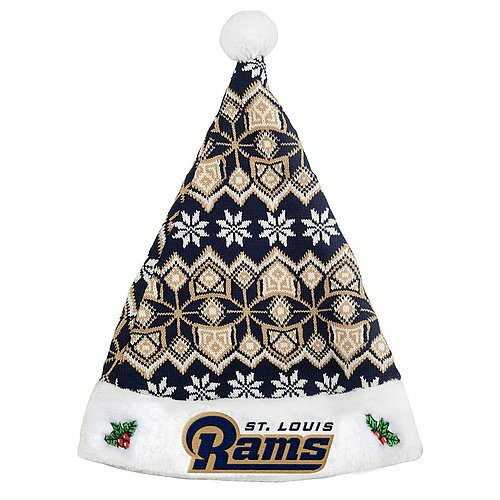 The Rams logo is printed on the front. 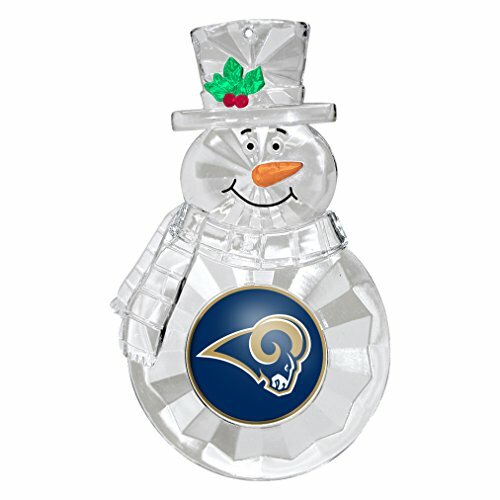 Cute LA Rams snowmen or a Santa make cute embellishments for gifts, great stocking stuffers, or a nice small gift for your favorite Rams fan. 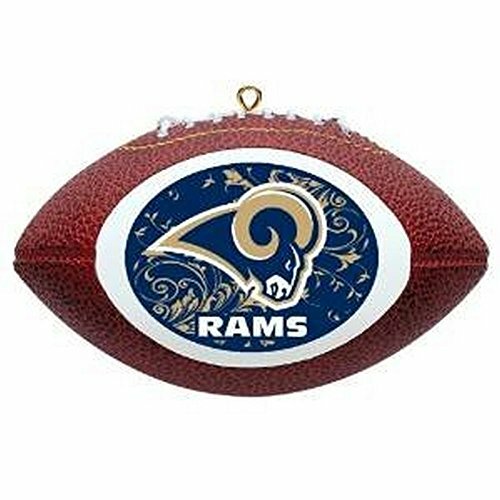 The Rams team was founded in 1945 as the Cleveland Rams located, of course, in Cleveland, Ohio. In 1946 they moved to Los Angeles and in 1994 the moved to St. Louis. 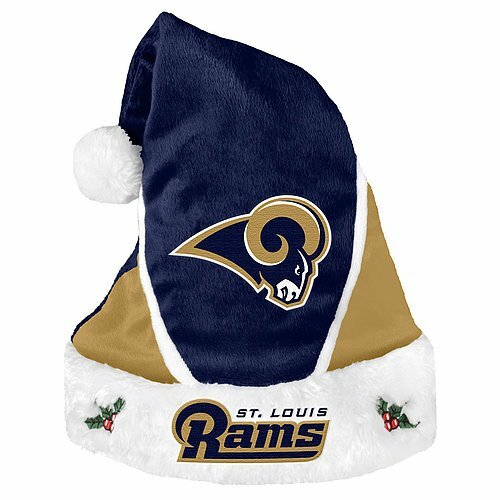 In 2016 the Rams moved from St. Louis back to Los Angeles. They won Championships in all three cities. 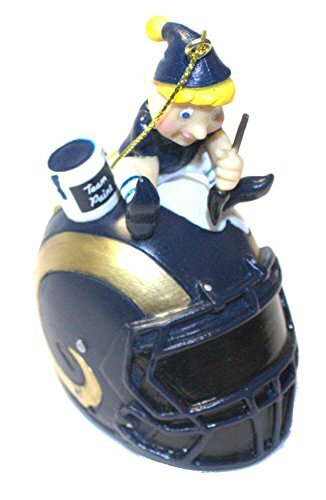 The team kept the colors of navy blue and gold.